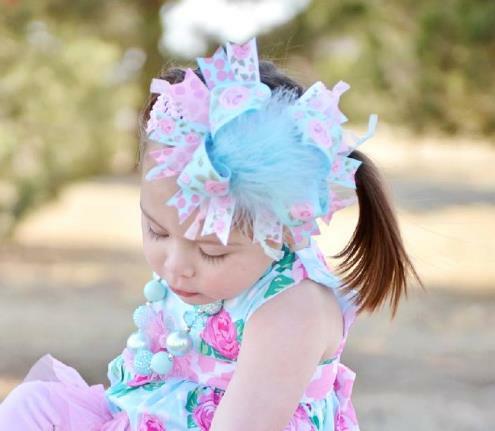 This over the top soft pink floral and aqua blue large bow comes on a partially lined alligator clip attached to an interchangeable crocheted headband. The bow is removable from the headband. Bow measures about 6-6 1/2 inches wide.